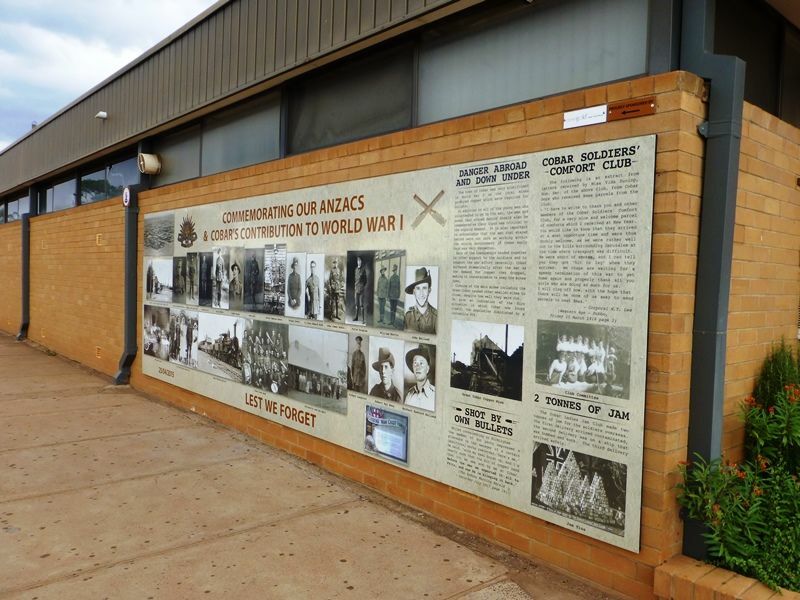 Two information boards commemorate the centenary of ANZAC and Cobar's contribution to World War One. The boards contain a series of local photos and ephemera relating to World War One. 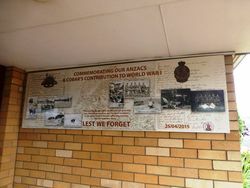 One bpard is positioned on the outside of the Memorial Club while a smaller board is located inside the entrance.